The web medium is perpetually developing and steadily changing, to be distinguished online it is required to change intermittently, add and update the content displayed on your site. Static and outmoded content on your site could head out viewer activity and it will furthermore influence your internet searcher rankings. CMS web solution permits you to deal with your site regardless of any technical knowledge, experience in HTML or the website design. It helps users to rapidly and efficiently build, deploy and maintain content-rich websites by streamlining and automating the web publishing process. CMS solutions are ideal for large organizations, which regularly need to update and publish new content on their web site. Updated look CMS: It enables you to keep your web site updated with fresh contents, all you need is to do is prepare content and upload it to your website. Less costly: It only requires one time investment in the beginning , and afterwards the maintenance cost is negligible , because you can maintain your site without the help of any technical person or developer. More Traffic: Search Engines searches and gives high rank to the quality content. Quality content pulls in the visitors and holds them. 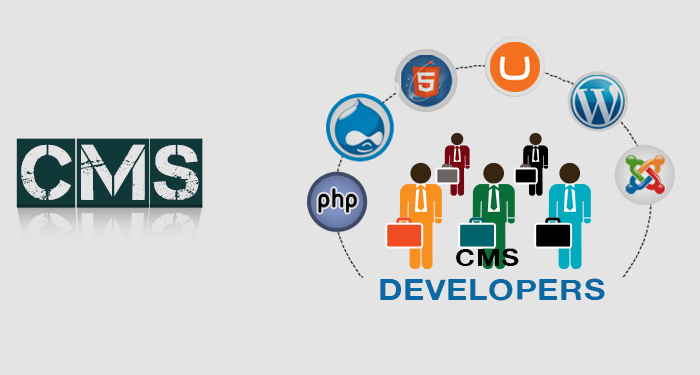 Our experts CMS Developers provide accurate and cost-effective solution with utmost programming standards. Our experienced developers have worked on development projects ranging from small business to large enterprises and they assure to provide committed and technologically advanced services by maintaining predefined delivery on schedule. Hire CMS Programmers available at ORWER who can deliver web solutions, custom development and dynamic websites along with Requirement Analysis, Project Management and Quality Assurance. Our CMS Developers are proficient in WordPress, Joomla, Drupal and Umbraco.